"The truth is not what you know. It's what you believe." Syracuse is a recovering alcoholic whose work as a fisherman leads him to one day find a woman named Ondine in one of his nets. Syracuse is led to believe that she is a mythological water spirit, or selkie, based on her mysterious appearance, her refusal to be examined by doctors, and the sudden wave of good luck that has come his way since she arrived. With this wave of good luck comes the appearance of a mysterious stranger who has suspiciously taken an interest in the docks where Syracuse works, and suddenly Ondine's appearance seems less magical and more nefarious. 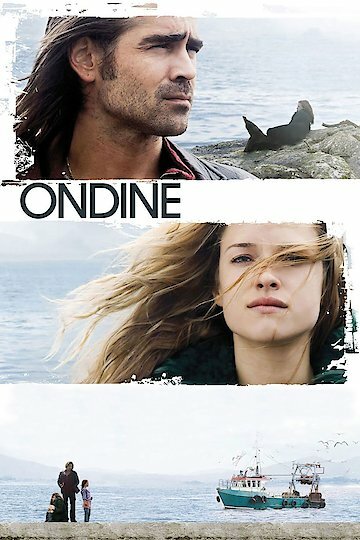 Ondine is currently available to watch free on Tubi TV and stream, download, buy on demand at Amazon, Vudu, iTunes online.